Our most popular choice. Escape from your daily routine to the comforts of our historic hotel. Enjoy an overnight stay in one of our beautifully appointed guest rooms. Join us at the hotel’s awards-winning Larks Restaurant for a delightful meal. 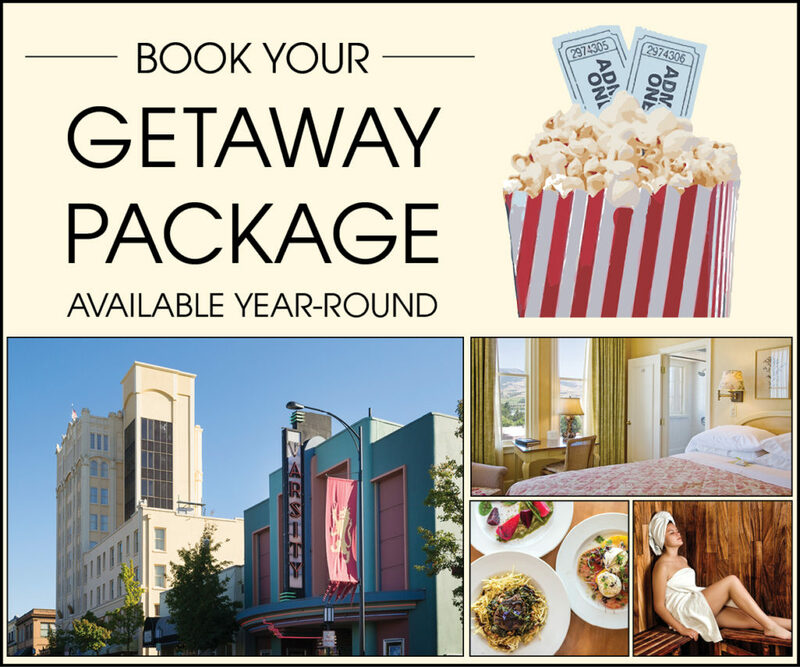 Finish it off with a stroll to the Varsity Theatre located next to the Ashland Springs Hotel for a date at the movie theatre. Complimentary steam & sauna at Waterstone Spa (based on availability, please call 541-488-0325 to reserve). Package available year-round. Rates start at $129 (based on time of year).